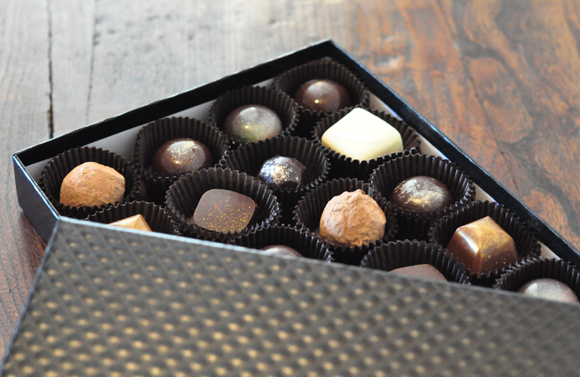 IfOnly.com may have created the ultimate chocolate box for big-time foodies. The e-commerce site asked 10 Bay Area Michelin-starred chefs to create a chocolate bonbon for this special box just in time for Valentine’s Day. After moving to the United States a decade ago from Serbia, Sanja Pesich inexplicably found herself doubled over in pain anytime she ate bread. Turns out she had developed a sensitivity to gluten. As she educated herself about how to bake her favorite treats without gluten, an idea for a new business also came about. The result is Dia Delights. Pesich, a Santa Clara University business school graduate, put her studies to work, creating a business that specializes in vegan and gluten-free baked goods. She sells them at the Vallco farmers market in Cupertino on Fridays, 9 a.m. to 1 p.m., and at the Santa Teresa Boulevard (at Camino Verde) farmers market in San Jose on Saturdays, 10 a.m. to 2 p.m. Additionally, her treats are sold at Good Karma Deli in San Jose. She also does custom orders for weddings and parties. After winning a California Entrepreneurship Program scholarship, she teamed up with her business partner, Tanja Vrcelj, who has a son with severe allergies to milk, dairy and peanuts. Pesich says nothing is more satisfying to her than to bring her treats to a classroom and watch as every child, no matter their food allergies, are able to indulge. “For children with allergies, not being able to participate in celebrations can be very emotional,” she says. Recently, I had a chance to sample some of her goodies. I’m lucky enough not to suffer from food allergies, but I’m always interested in trying products geared to those with dietary restrictions to see just how closely they can resemble the real deal. In Pesich’s case, she comes as close as one can. Her cookies and cakes are made with a flour mix that consists of garbanzo bean flour, potato starch, white sorghum flour, tapioca flour, and fava bean flour. Her products also make use of extra virgin coconut oil, cane sugar, soy protein, lactic acid (non-dairy and derived from sugar beets) and flaxseed meal. 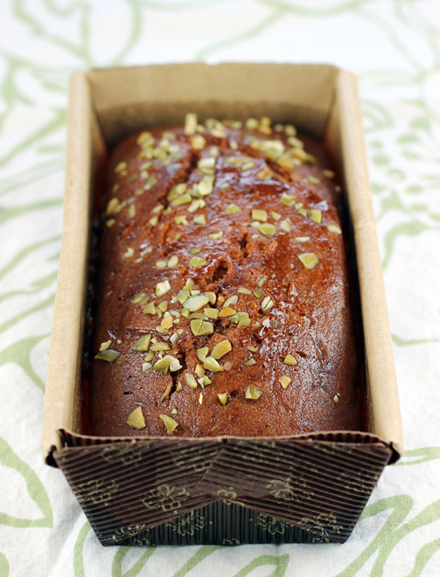 Her cakes and cookies often incorporate fruit to ensure they stay moist. There’s a nice homemade quality to the products, as they are all created by hand in small batches. The double-chocolate chip cookie was soft and fudgy tasting, with just a hint of a beany note to it. The chocolate chip cookie was cakey in texture and the oatmeal cranberry cookie was none too sweet and full of heartiness from the gluten-free whole grain oatmeal. The chocolate-raspberry cupcakes are moist with a muffin-like texture. You wouldn’t know the cream cheese frosting flavored with a touch of vanilla was vegan from just the taste, as it’s as thick, creamy and as satisfying as the familiar Philadelphia brand. 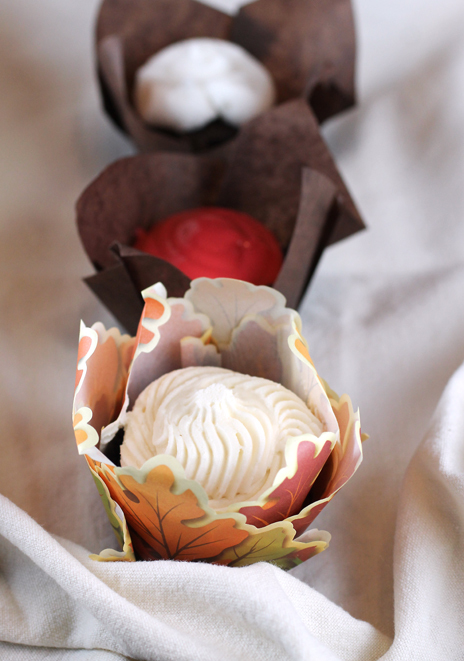 Need a last-minute hostess gift or sweet treat to end the feast for Thanksgiving? La Boulange, with locations around the Bay Area, comes to the rescue with its double whammy of holiday pumpkin and rum raisin macarons. 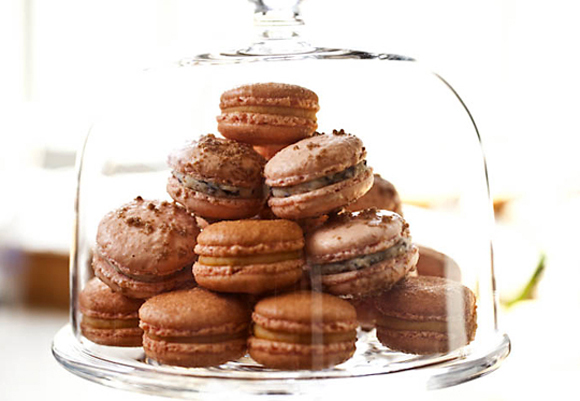 The classic French cookie sandwich is filled with your choice of pumpkin or rum raisin ganache. They’re $1.50 each. 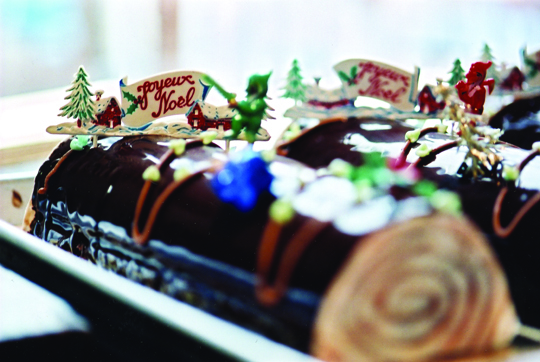 For Christmas, La Boulange offers up the classic buche de Noel. The Christmas log-cake confection is rolled and filled with cream, topped with buttercream, then decorated with marzipan and meringue. The edible yule log comes in two sizes: 6-inch ($23) and 12-inch ($35). That’s the appropriate name for the Nov. 27 dinner at RN74 in San Francisco, which will include a host of chefs from the Michael Mina restaurant group cooking up a five-course feast with wine pairings and a cocktail. The “Maximum Mina” dinner will be created by Mina, wine director Rajat Parr, and Pastry Chef Lincoln Carson, as well as Ron Siegel of Michael Mina restaurant, Jason Berthold of RN74 and Omri Afalo of Bourbon Steak. In honor of the San Francisco Giants’ winning streak, Prospect restaurant in San Francisco has created a new dish that sports the team’s trademark colors. 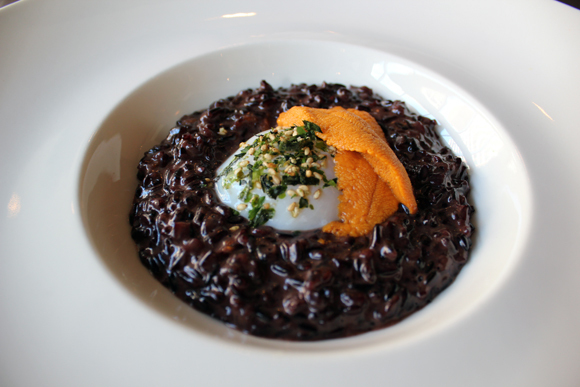 Black risotto with uni and a gently poached egg is a most appropriate dish to celebrate this classy baseball team’s triumphs, don’t you think? The $16 dish is not on the regular menu. Those in the know just need ask for it. Chef Pam Mazzola plans to make it available as long as the Giants keep winning or fresh sea urchin is available. 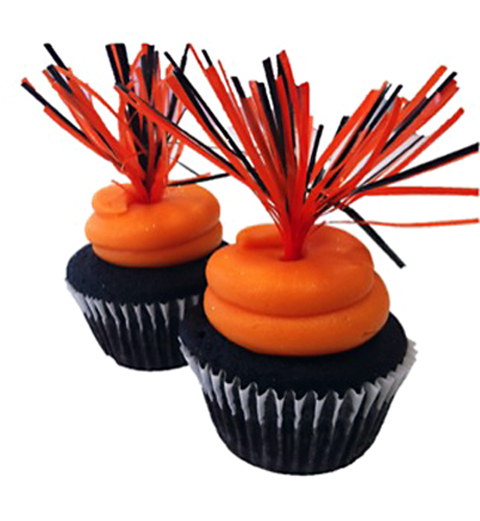 Starting today, Sift Cupcake + Dessert Bar in San Francisco, will be baking up the “Humm Baby” in honor of the Giants. SusieCakes, which started in Southern California but has spread to these northern parts, is opening its newest location at 642 Santa Cruz Ave. in downtown Menlo Park. The bakery, know in particular for its old-fashioned cakes and cupcakes, already has two other Bay Area locations: San Francisco and Marin County. 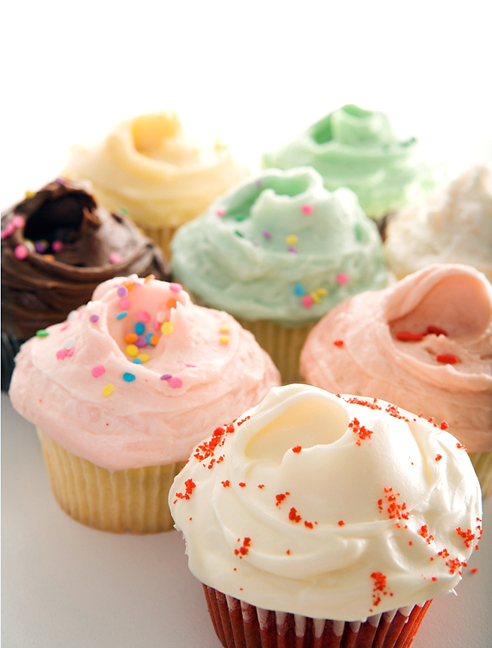 Join in the grand opening ceremony at the Menlo Park bakery, 1 p.m. to 4 p.m. March 24. Dust off your favorite poodle skirt for an old-fashioned sock hop with 50’s tunes. Best costume wins a prize. There will be plenty of cupcakes, cookies and bars to sample, too. After a weekend of wine tasting, there’s nothing better than a big hunk of juicy, slow-cooked pork to go along with it. 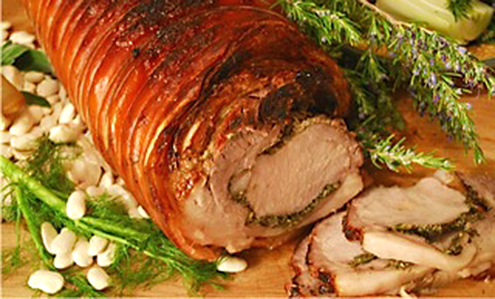 Every Sunday night now at Chef Cindy Pawlcyn’s Brassica in St. Helena, they’re serving up porchetta — a whole loin of pork stuffed with garlic, rosemary, fennel fronds and fennel pollen, then roasted in a Caja China charcoal oven for 3 1/2 hours.